1) (Delves Hall, co. Stafford; John de Delves was living there 31 Edward I.; his descendant, Sir John Delves, Knt., of Delves Hall, Warden of the Mint, temp. 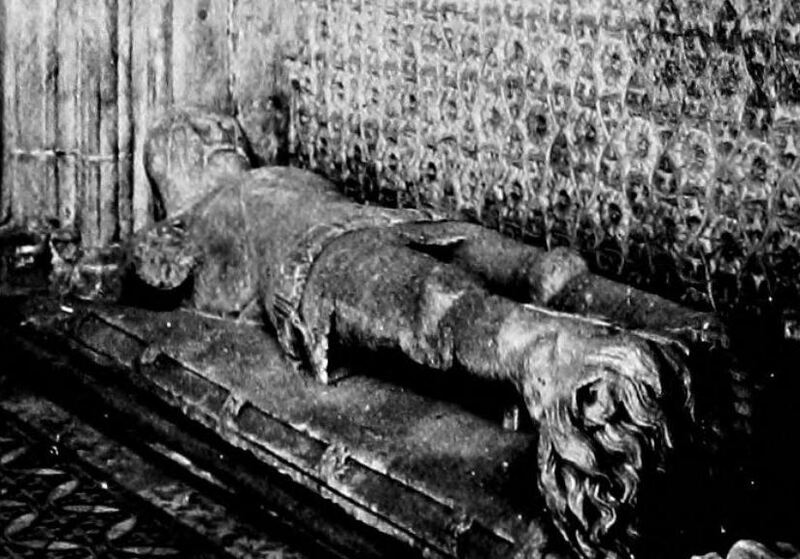 Henry VI., was slain at Tewkesbury, leaving inter alias two sons, John Delves, the eldest, beheaded 10 Edward IV., leaving two daus., and Henry Delves, the youngest ancestor of Delves, bart., of Dodington). Ar. a chev. gu. fretty or, betw. three delves (or sods of turf) sa. 2) (Dodington, co. Chester, bart., extinct 1725; Sir Thomas Delves, Knt., of Dodington, descended from Henry Delves, youngest son of Sir John Delves, Knt., of Delves Hall, was created a bart., 1621. Elizabeth, only dau. of the fourth bart., m. Sir Brian Broughton, Bart., of Broughton). Same Arms. Crest—Out of a ducal coronet or, a demi heron wings displ. ar. 3) (co. Kent). Same Arms. Crest—A dolphin naiant az. 4) (co. Lancaster). Same Arms (billets instead of delves). Crest—Out of a ducal coronet or, a demi eagle betw. two wings sa. Motto—Je ne puis. 5) (co. Chester). Same Arms (pewter pots instead of delves). Crest—A dolphin embowed ar. 6) Same Arms (fleurs-de-lis instead of delves).